Very nice apartment.Sunny and spacious.Easy to access the slope either directly or via bus into town . Disadvantage is the lack of bakery in this area...no egg cups or pot lids in the kitchen. 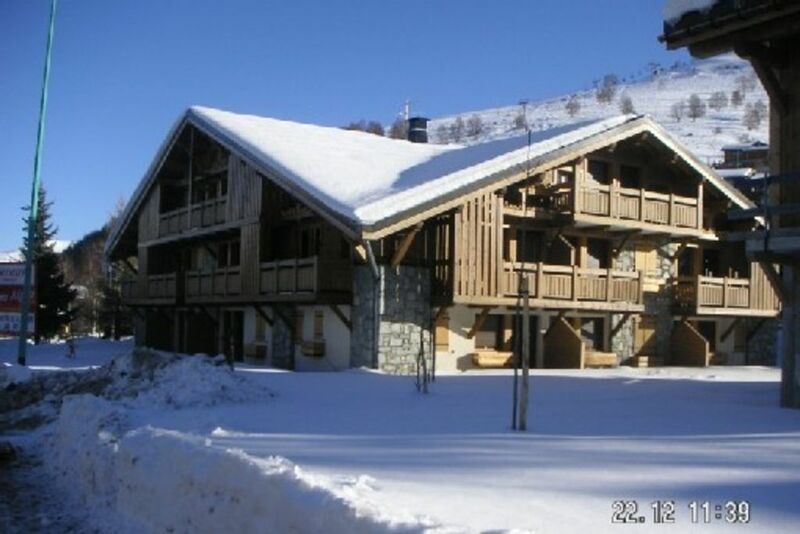 Excellent location next to the ski slope and to the ski lifts. Clean property and well equipped kitchen. Enough space for 6 people. Private garage and ski locker. The only downside is the very very small toilet with no sink and running water in the toilet. Superb apartment in excellent location. This is a lovely well equipped apartment with a private lockable garage and private lockable ski room. The location is excellent, much better than we expected considering it is at the very beginning of the resort. The free shuttle bus stops right outside but it is much easier to walk 50 metres or so to the slopes and then ski down to the lifts for either side of the mountain. You can then almost ski right back to the door at the end of the day! It is only short walk towards town for lift passes and a choice of ski rental shops. There is a supermarket just a short walk away every morning for fresh croissants, bread, etc. and there is a bar/restaurant just around the corner on the slope home if you haven't the energy to go into town in the evening. In fact we didn't find walking to the centre of the town too onerous - we didn't use our car once and only used the bus a couple of times. The apartment was very clean and fully equipped for our stay - we took our own bedding but paid for cleaning. We were a party of four adults and a teenager. The apartment is very cosy but quite small with minimal comfortable seating for an evening in - we tended to go out or play cards around the table. Communication with the owner was easy as were the payment arrangements. Flexibilty over dates was key to us booking this apartment. We were welcomed and looked after very well when we arrived in the resort and during our stay. We would definitely consider booking this apartment again in the future. Nous avons beaucoup apprécié de vivre dans cet appartement. Les conditions matérielles étaient réunies pour passer un excellent séjour.